How can you be bored and yet ambitious? Bored Ambition, besides being a play on the title of Madonna’s 1990’s groundbreaking Blond Ambition tour, was born out of, well, bored ambition. I’m going to go back to the recent past. The mid-2000s. Around this time, I was calling myself endlessdomi. Yes, I am the lame-o who gives myself nicknames. Whatever. The name itself was really inspired by a character called Endless Mike from The Adventures of Pete and Pete. Endless Mike flunked school mad repeatedly. I was telling people that it meant that I could do an endless number of things in my life. And it was true, I did feel that way. But then I grew up. I learned about myself. I accepted my limitations and narrowed my focus. While I found myself not lacking in ambition, I was bored. I was impatient. I was lazy. And it wasn’t a recent thing, it had been that way for years. I reflected. I learned. I lived. I narrowed my focus further. I’m still bored, but I’m also still ambitious. Bored Ambition, therefore, is a culmination of these efforts at self-growth. My passions, my talents, the little bit of wisdom that I may occasionally have. 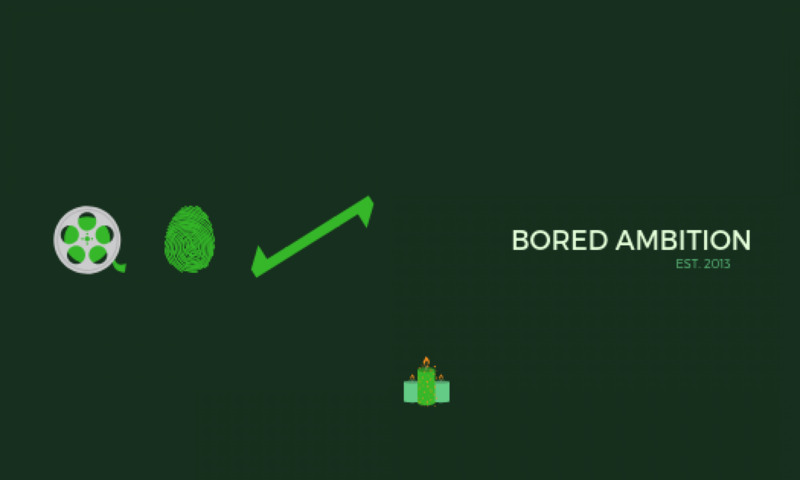 My vision for Bored Ambition is to provide a space that is both engaging and thought-provoking, fun and vibrant. I hope that I am able not only to project those values myself, but that some of you project those values as well. Honestly, you won’t make it any other way.